ANOTHER use has been found for that mysterious power known as electricity, and this time it will find favor with all mothers. 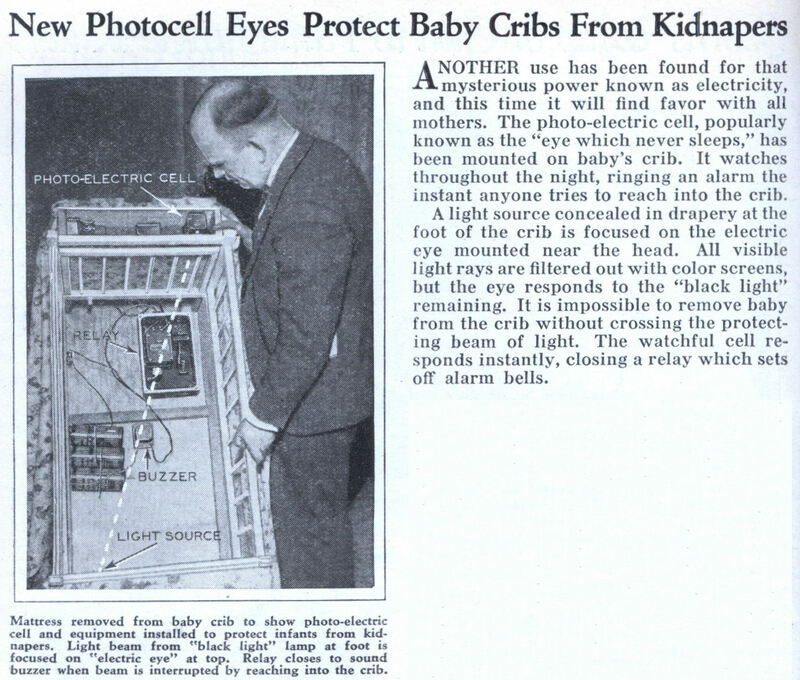 The photo-electric cell, popularly known as the “eye which never sleeps,” has been mounted on baby’s crib. It watches throughout the night, ringing an alarm the instant anyone tries to reach into the crib. A light source concealed in drapery at the foot of the crib is focused on the electric eye mounted near the head. All visible light rays are filtered out with color screens, but the eye responds to the “black light” remaining. It is impossible to remove baby from the crib without crossing the protecting beam of light. The watchful cell responds instantly, closing a relay which sets off alarm bells. I believe a mild electric shock delivered to the infant would achieve the same result. It was scream in agony and change anyone’s mind as to the reason they would even WANT to take a baby with them. That is a pretty high level of paranoia. 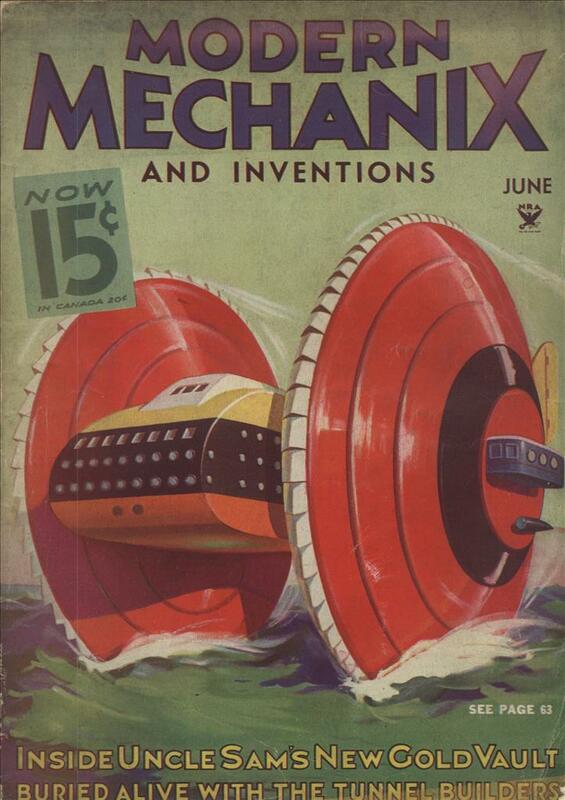 I wonder how many systems were sold. What if the guy came for the silver, not the baby, and didn’t trigger the alarm in the crib but cleaned you out anyway? How silly would you feel then? Why wouldn’t you want to put that system on, oh, the doors and windows and keep the “kidnaper” from getting so close in the first place?